Lane is the director and founder of Renovate Counseling Services. 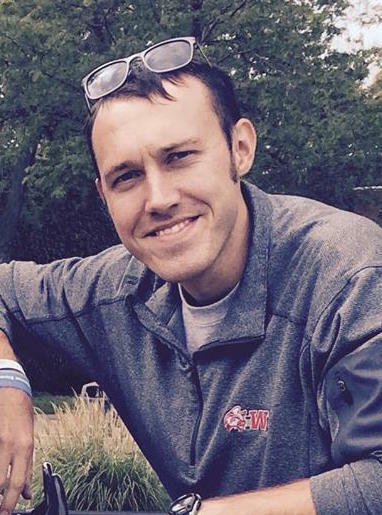 He completed his graduate training through Grace College and Theological Seminary and holds a Master of Arts degree in Clinical Mental Health Counseling. Lane has multiple years of experience and has logged hundreds of hours of face-to-face time working with clients in a variety of settings ranging from private practice to college counseling centers. ​Lane approaches therapy from a person-centered lens and firmly believes that a strong emphasis on the therapist-client relationship is the start of the process towards healing and wholeness. He also incorporates Narrative and Cognitive Behavioral Therapy into his approach to counseling as well. Lane enjoys being able to walk with his clients on their journey towards achieving their goals related to their mental health and overall wellbeing. Hannah is in her second year of Graduate School at Indiana Wesleyan University, and is studying Marriage & Family Therapy. She is currently working as the Administrative Assistant and gaining experience within the counseling office. Soon she will be seeing clients in her Master's program. Her passion is being able to meet people where they are at in their journey. After her graduation in 2019 she will be looking to work with couples and families.